Experience the difference. Different fluids need different liners. lights by TENA liners are high absorbency liners specifically designed to absorb little leaks. They have FeelFresh TechnologyTM which quickly locks away moisture and odour. Do you use regular sanitary pads to protect yourself from light bladder weakness? You’re not alone. A lot of women experience little leaks at some point in their life, and it’s easy to reach for the familiar pads and liners you use for menstrual flow. 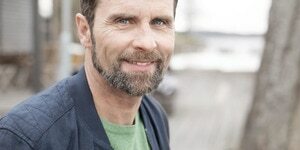 The problem with using sanitary protection for little leaks is that they’re designed for blood and not the thinner, faster flow of urine, which needs to be absorbed at a much quicker rate. If you want to feel dry and fresh, you should use a product that’s specifically designed for little leaks. 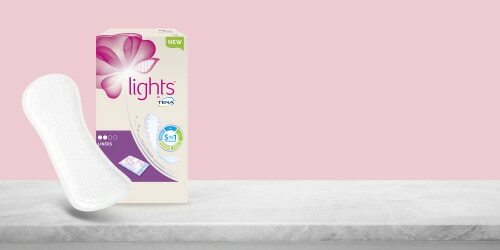 lights by TENA liners look like regular liners, but they’re developed with FeelFresh TechnologyTM that locks away liquid and odour quickly and keeps you fresher and drier. That “fresh from the shower” feeling – all day long.